Play an instrument—guitar, drums, trumpet, bass, etc.? Four or five times a year, we have a group of people who play different instruments and get together to rehearse and perform in worship. This is not limited to members of our church. If you play an instrument or have played an instrument in your past, drag it out and come join us. 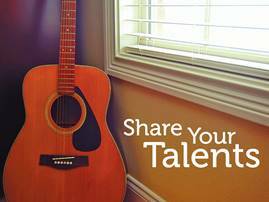 It’s a great way to use work on your musical skill and praise the Lord with your talents. If you’d like to be made aware of the next time we get together, click on the “contact us” tab, or send us an email at cchp@verizon.net, or call the church office at 201-768-2457.